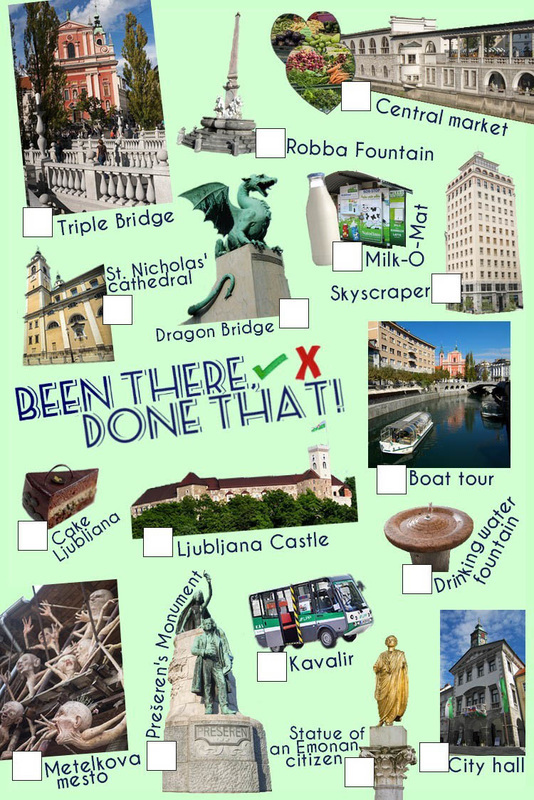 Ljubljana - Been there, done that! CAKE LJUBLJANA - Sweet Ljubljana cake made of typical ingredients from different regions from all over the country. STATUE OF AN EMONAN CITIZEN - Copy of a nearby found gilded bronze statue of a citizen from Emona, Roman city on the grounds of Ljubljana.